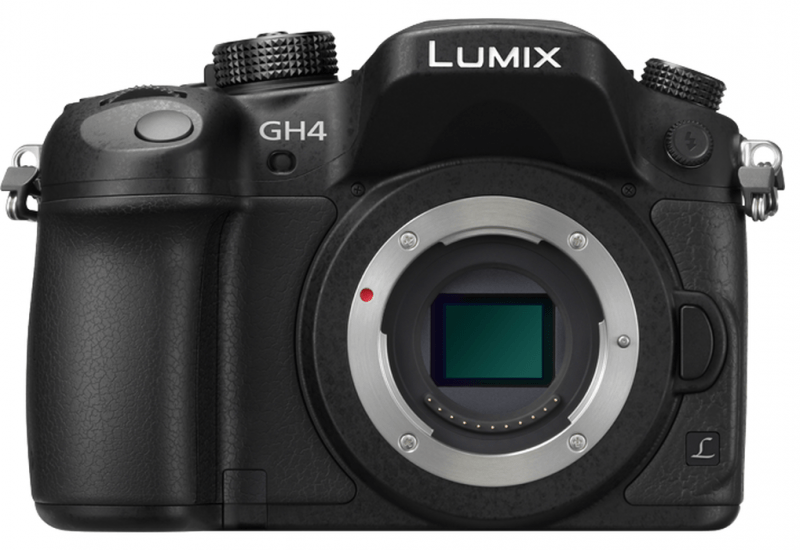 Panasonic Lumix GH4 4K- The Hybrid Champion ? 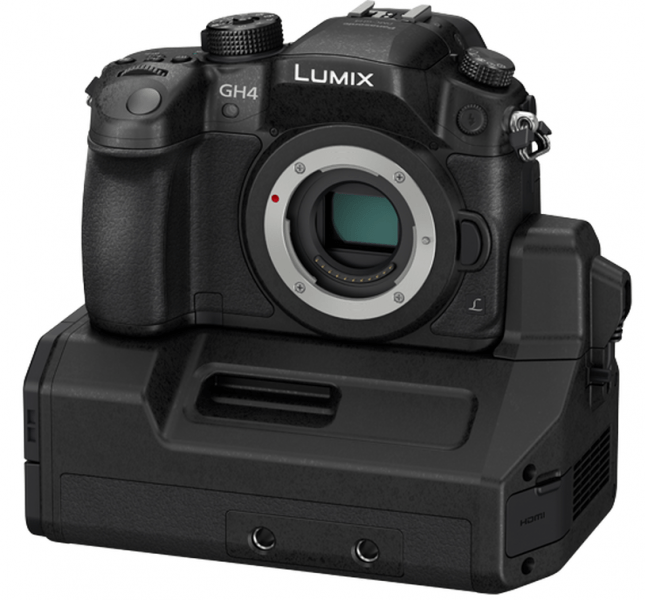 You are here: Home / 4K DSLR Cameras / Panasonic Lumix GH4 4K- The Hybrid Champion ? 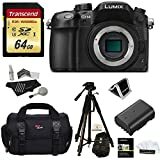 The Panasonic Lumix DMC-GH4 4K Mirrorless Micro Four Thirds Digital Camera is a hybrid camera designed to be used for both professional photo and video use. The camera features a 16.05-megapixel Digital Live MOS sensor, as well as a 4-CPU Venus Engine which is capable of capturing JPEG and RAW stills at high resolution. Not only that, the camera also comes with UHD 4K 3840×2160 30p/24p and cinematic DCI 4K 4096×2160 video at 24p. The GH4 is designed with a weather-sealed body made of magnesium alloy, just like its predecessor. 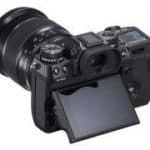 The difference it has with the product that went before it is that it offers an increased resolution on both the OLED monitor and electronic viewfinder. The camera also comes with a built-in WiFi and NFC technology, in-camera creative controls and a high-speed 49-point autofocus in both photo and video mode. 16.05 Megapixel Digital Live MOS sensor and Venus engine. Images with high sensitivity and quick response times are achievable through the 16.05 MP Digital Live MOS sensor. The effects of a rolling shutter are also suppressed by the increased signal speed readout. Apart from the quad-core Venus engine image processor that comes with the camera, you will also enjoy the significantly improved sensitivity (maximum ISO of 25600), gradiation performance, resolution and color reproduction. Micro Four Thirds Sensor and Lens Mount. The Micro Four Thirds sized sensor of Panasonic’s GH4 is large enough to allow a shallow depth of field. 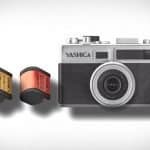 Not only that, it is also small enough to take advantage of lighter compact lenses than a larger format camera requires. Additionally, the short flange focal distance of the lens mount allows you to add optional adapters – which are sold separately – so that you can use a wide selection of lenses, including PL-mount cinema lenses. Dual OLED Displays – Monitor and Live View Finder. For the live view finder (LVF) and rear monitor, the GH4 makes use of high-speed organic LED displays. The monitor – which measures 3.0” – features a 1,036K-dot resolution. The LVF features a 2,359K-dot resolution. Both of these displays are able to feature 100% coverage, as well as a 10,000:1 contrast ratio. For easy shooting with both displays, an Eye Sensor automatically switches between the LVF and the rear monitor. Magnesium Alloy, Weather-sealed Body. The GH4 features a magnesium alloy full die cast front and rear frame. The joints and control components are tightly sealed in order to achieve a design that is safe from splash and dust. The shutter is also rated for an approximate 200,000 releases to further meet the demands of professional use. WiFi with NFC Technology. The GH4 of Panasonic integrates WiFi connectivity with NFC, which allows you to use the Panasonic Image App for shooting photo and video remotely using compatible smartphones or tablets. The app also allows you to include location data into an image after shooting. Even if your mobile device isn’t NFC compatible, you can still connect to the camera by scanning a QR code that is displayed on its monitor. 49-Area AF / Custom Multi AF. The newly developed AF system of the GH4 features 49 points which gives you more flexibility when composing shots. This flexibility is extended even more with the Custom Multi mode which allows you to freely select what blocks to focus on out of 49 possible areas. High-Speed Autofocus. The GH4’s high-speed contrast AD integrates Depth from Defocus (DFD) to achieve AF speeds of approximately 0.07 secs in AFS mode. This allows the camera to shoot bursts of 12 fps in AFS mode. Silent Mode. The Silent mode feature switches the shutter from mechanical to electronic therefore turning sounds odd. It also suppresses the AD assist lamp and flash with just a single setting. This feature comes in handy when capturing photos in situations where noise and light from the camera will distract the performers or people around you. In-Camera RAW Data Development. Rather than rely on post processing, you can shoot photos in RAW then process the images in-camera to create JPEG images. You can also adjust the color space setting (sRGB / AdobeRGB), white balance, noise reduction, sharpness and hue. The following can also be applied: Lumix’s Photo Style, Intelligent D-Range Control, and Intelligent Resolution. Picture Profiles. You can choose from a range of photo styles and creative control modes. Photo Styles for stills or video include Standard, Vivid, Natural, Monochrome, Scenery, Portrait and Custom. You can also adjust contrast, sharpness, noise reduction, saturation, and hue parameters for each mode and even set it in the camera’s memory. Professional 4K Video Recording. The GH4 brings the GH-line into the 4K age by offering both 16:9 UHD 4K 3840×2160 video at 23.9p, 24p or 29.97p and 17:9 Digital Cinema Initiatives (DCI) 4K 4096×2160 videos at 24p. 4K resolutions can be recorded as MOV or MP4 files with a high bitrate 100 Mbps IPB codec. You will need an SDHC/SDXC memory card that is capable of handling transfer speed when recording at 100 Mbps. Selectable System Frequency. The GH4 is a global camera that has a switchable system frequency from 59.94 Hz (23.98 Hz) and 50 Hz. A 24 Hz frequency for true fps cinematic video can also be selected. Variable Frame Rate (VFR). This mode enables you to record full HD video with a slow or fast motion depending on the video format and frequency selected. Versatile Video Recording Formats. The GH4 is capable of recording ultra-high bitrate video at 200 Mbps (All-Intra) or 100 Mbps (IPB) so you can choose which video format is best for each project. The camera can record in the following formats: MOV, MP4, AVHCD Progressive and AVHCD at a variety of frame rates. High quality Linear Pulse Code Modulation (LPCM) sound can be recorded with MP4 / MOV. All of the internally recorded video codecs also use 4:2:0 color sampling and an 8-bit color depth. Real-Time 4:2:2 Output with HDMI. You can send 4:2:2 8-bit or 4:2:2 10-bit video in real time to external monitors or recorders through the micro HDMI output. You will need an optional micro HDMI cable though. Also, video cannot be recorded on the SDHX/SDXC memory card when outputting a 4:2:2 10-bit signal. Focus Peaking. The GH4 makes use of the focus peaking function for easy focusing which shows the peak of focus in MF and AF+MF modes. You can see the peaking of focus while monitoring a subject using live view. This feature can be set to HIGH, LOW or OFF and the color can also be changed to blue, white or orange depending on the color of the shooting scene during live view. This feature is also available when shooting photo or video remotely using a smartphone or tablet via WiFi. Luminance Level Adjustment. The GH4 also offers a luminance level of 0-255 apart from the standard levels of 16-235 and 16-255. Professional 4K Video Interface Unit (Optional). This is optional for professional video workflows. The DMW-YAGH interface unit attaches to the bottom of the camera and is able to prvide 2 XLR input terminals, for line or condenser microphones, with independent volume controls, as well as an audio level display monitor. This unit also has 2 3G-SDI capable BNC connectors and 2 HD-SDO capable BNC connectors for quad-link SDI 4K video in 4:2:2 10-bit, dual link 4:2:2 10-bit 1080p up to 60 fps or four simultaneous 1080p streams of up to 30 fps. All of these come with a timecode. The unit is powered through a 12VDC 4-pin XLR input. Interface. The GH4 has several connection terminals, including 1/8” microphone and headphone jacks. Additionally, the camera features a micro HDMI port, AV output, flash sync terminal and a 2.5mm remote controller jack. UHS-I Class II Speed SD Card Support. The GH4 can make use of a variety of advanced recording media, including SDXC, SDHC and SD Memory Cards. However, the fastest of these is the UHS-I Class III, which is the recommended choice when using a video recording mode of over 100 Mbps. High-Speed Burst Shooting. The GH4 camera allows high-speed burst shooting at 12 fps in single autofocus mode using the mechanical shutter. This can be done for approximately 40 RAW or 100 JPEG images. The camera also allows continuous high-speed burst shooting at 7.5 fps in continuous AF mode which allows you to capture subjects that move fast with clarity. When using the electronic shutter, you can perform high-speed burst shooting up to 40 fps. Highlight / Shadow Control. The GH4 front or rear dial can be used to separately adjust highlight and shadow. There are also three patterns of settings that can be customized in addition to the three preset patterns. Button Layout. The controls for exposure compensation, ISO sensitivity and white balance are positioned around the shutter button for intuitive control. This also allows for fast and easy operation while looking at the viewfinder. There is also a programmable function available. The Panasonic Lumix GH4 is one of the most powerful and versatile DSLM camera that is capable of 4K video recording. It is able to accept almost all types of lenses in addition to the Micro Four Thirds mount. With the above features, you can now decide if the Panasonic GH4 will best fit your needs. As always, there’s always the budget to consider. So if you find this more affordable than other cameras in the same range, then this is the camera for you. An increased resolution on both the OLED monitor and electronic viewfinder is really helpful! So many options! I definitely recommend it!